Back trouble stemming from the Psoas muscle affected me greatly at that time and was worsened by sitting at a desk for work. This motivated me, as a yoga instructor, to find the root cause. For now, we can say that, in plain terms, back problems are not only a physical problem, but certainly can be worsened by physical conditions, such as having a desk job. Why? We sit for too long at the desk, and sitting in chairs is not a natural position for our spine, nor our hip function. This is common knowledge, yet we continue to sit in this way. Why is extended sitting bad? As introduced already, sitting in the average chair is bad for the spine and hip function. It is a passive sitting posture, meaning you are relatively motionless and your Psoas muscle is contracted. The longer that it is contracted, the worse this can be. Moreover, long durations can cause a slouching and poor posture of the whole spinal column. Well, if sitting is bad, don’t sit at all. The ergonomic office I assembled recently for myself is one which I have found to work wonders for posture, spinal health, and hip flexibility. It is a combination of two separate ergonomic and somewhat alternative items of office furniture. Instead of sitting: stand! 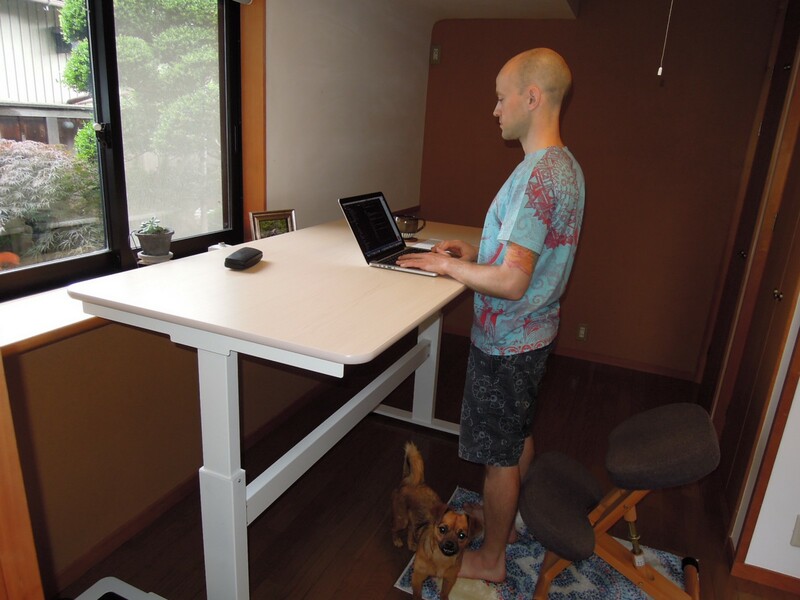 Use a standing table. Instead of sitting: kneel! Use a kneeling chair. Instead of choosing between option 1 or 2, I suggest: do both! Both kneeling and standing are active positions. 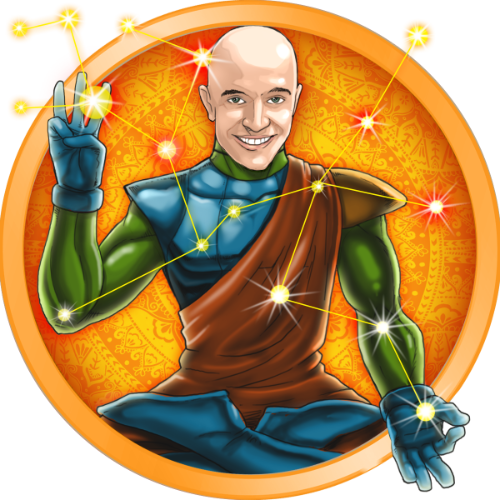 Active positions are where the person is encouraged to move in a more conscious manner. 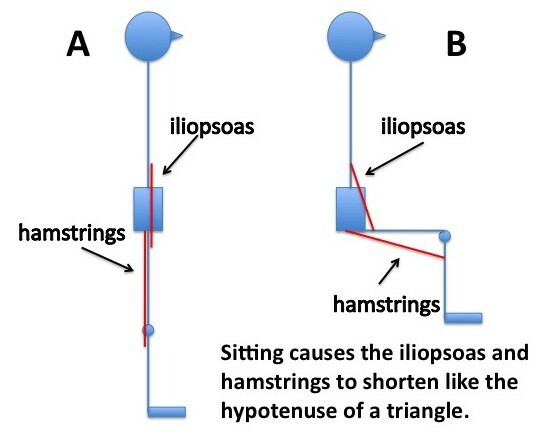 Both of these positions also stretch the Psoas muscle, so they are active in that way also, compared to regular sitting. However, with both of these positions being active, it is natural for them to become uncomfortable after a prolonged time. This is a good thing, it motivates you to move. Whereas, in a regular chair, you can get too comfortable sitting, and this can lead to extended durations spent with poor posture, passively seated. After some research, I found a suitable kneeling chair on Amazon. I wanted an affordable wooden one that looked comfortable and had good reviews. It also needed to be adjustable to fit the desk or other future desks. I ended up going with this option via Amazon.jp. 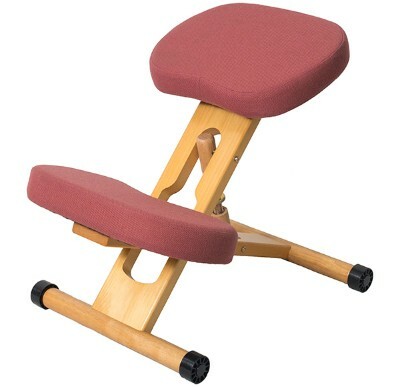 Other options I came across are listed in an aside blog post to accompany this: Ergonomic Office: Kneeling Chairs. 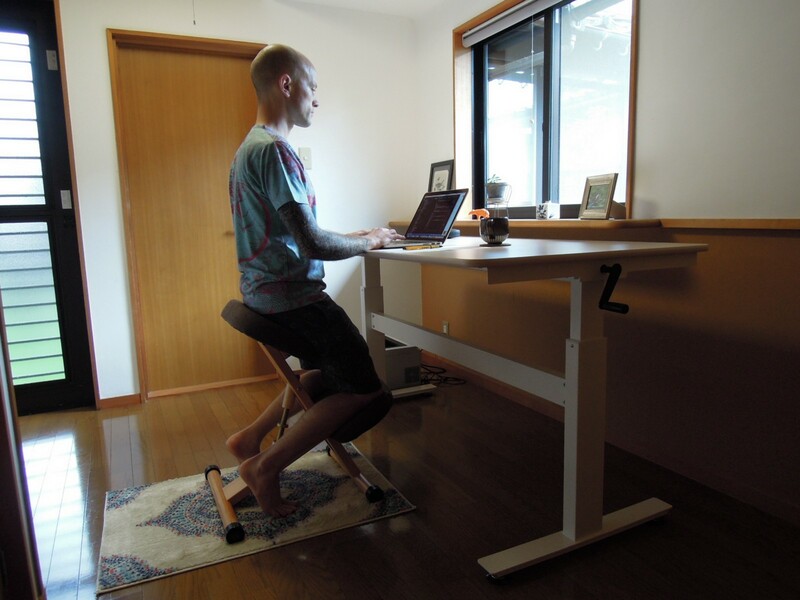 For a low cost adjustable table for me, being based in Japan, I had limited options and eventually I found the one I was happy with on Amazon.jp. 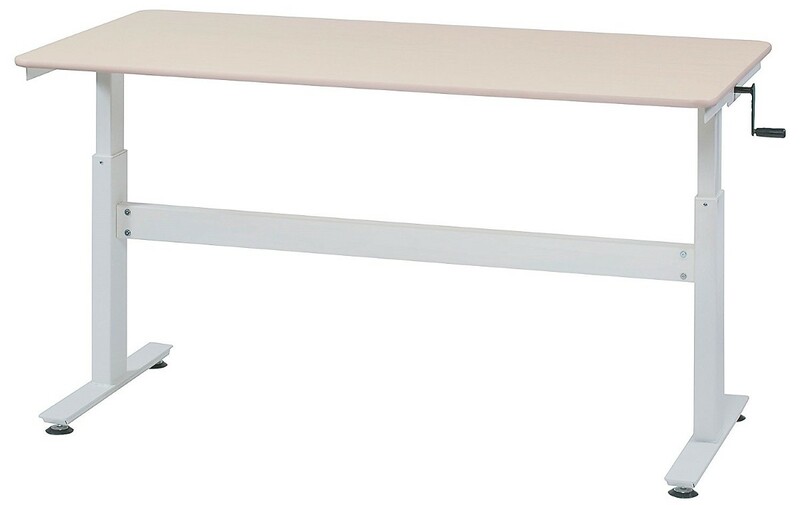 I detailed others in an aside blog post to accompany this: Ergonomic Office: Adjustable Standing Desk Options. I would say the preference for me was a table that fitted the height of the kneeling chair, that was mechanical rather than electronic—I found that the electronic ones that I researched are noisy and have wasted materials in the electronic parts—so I can easily wind up and down the table by hand; free exercise, great! Another point is that it needs to fit your standing up posture, your arms should be able to rest on the table, making a 90° angle with your upper and forearm. Again, limited plastic and more natural materials such as wood were desired. I continue in this way with a simple routine and decision to switch between positions. Whatever I feel like doing at the time, I do. If I am tired, I kneel for a while, when that gets sore, or I feel like changing, I either get up for a walk around, or I switch to standing mode. When standing gets tiresome, or I feel like a change, I swap back to kneeling. As highlighted, this setup is somewhat modest, modest in that it is lacking a monitor at the moment, to keep the screen inline with the natural position of the eyes and therefore the neck. I make up for this with the angle of the screen pointing upwards, so that the angle of the neck is minimal. Alongside this, I occasionally perform some simple neck exercises. Ideally, however, I would recommend a monitor for a more natural alignment. Something like the “Monitor Arm” that my fellow X-Team colleague, Szymon, wrote about in this post from Feb 2016: “How to set up an ergonomic workplace and why you should care”. As easy as that, and I greatly recommend this change. As is said, if you have a healthy spine, you are truly young, so stay young people! I hope this helps. Feel free to ask any questions, or provide opinions or experiences with anything related.